The main cultural, educational and commercial area of India is home to some incredible architecture, enticing cultural offerings and inexplicably good Indian cuisine. 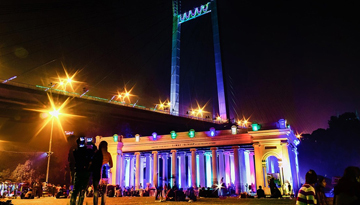 As the former capital of India, Kolkata was the birthplace of modern Indian culture and art - it was once described as 'the city of furious, creative energy'. As well as being the old capital, it was also a former British colony, the evidence of which still remains in the diverse architecture - some of the buildings are old dilapidated ruins, whereas others are gigantic Victorian-esque marvels. Although it is often commented that the city is polluted and somewhat crowded, there's no better place on Earth to make you feel more alive. The bustling streets are invigorating, with countless local people going about their everyday lives, and countless travellers added in to the mixture. Many of the old temples are unmissable, with their imposing incredible beauty - the Dakshineshwar Kali Temple is of particular note, as is Mother House and the Belur Math shrine. St Paul's Cathedral sits in the heart of the city and shows a perfect example of how Britain once ruled in this area of India. Best Emirates flights to Kolkata from Heathrow with return economy class fares at £469*. 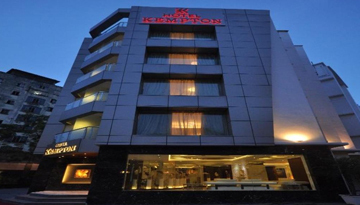 Kempton Hotel providing a 4 star accommodation and feature premium amenities with bars. 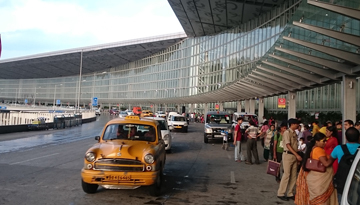 Fly from London - Kolkata & Stay for 3 nights with 3 star accommodation. Room Only.